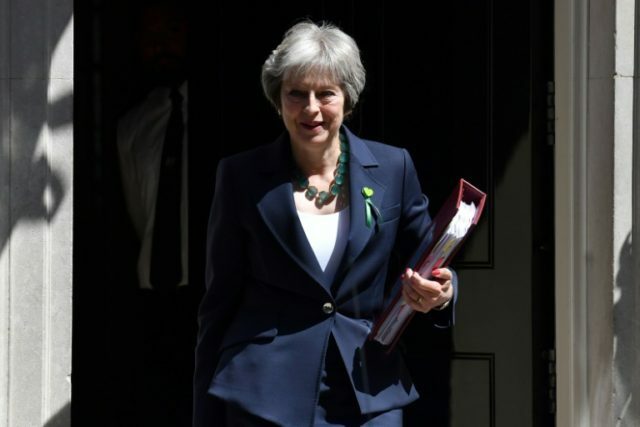 London (AFP) – British Prime Minister Theresa May survived another key Brexit vote Wednesday but her pro-European MPs warned they could yet rebel if she backtracks on promises to give parliament a greater say in the final withdrawal deal. The House of Commons overturned an amendment to the EU (Withdrawal) Bill, tabled by the unelected House of Lords, seeking to keep Britain aligned to the bloc’s customs union. It was a second win for May after she persuaded rebels in her Conservative party on Tuesday to reject a Lords amendment that would have allowed parliament to block the government from leaving the EU with no deal. But that vote required last-minute concessions to pro-European Tories, and they warned Wednesday they could yet seek to defeat the government if May fails to fulfil her promises. Leading rebel Dominic Grieve said he hoped a compromise would be found, but if not, “this isn’t the end of the matter”. Downing Street said it would publish a compromise amendment on Thursday, which will go to the Lords for debate on Monday, and then back to MPs later next week. Elsewhere in a day of drama, the main opposition Labour party suffered a large rebellion by its MPs seeking to keep Britain in the EU’s single market. Scottish National Party (SNP) MPs had earlier walked out of the Commons in protest at what they said was the government’s “contempt” for Scotland in the withdrawal process. The Brexit talks are progressing painfully slowly, but both sides still hope to reach a deal in October ahead of Britain’s withdrawal from the EU in March 2019. May has promised to give the British parliament a vote on the final deal, but the question is what happens if lawmakers decide to reject it. The Lords amendment overturned on Tuesday would have given parliament the power to decide whether to leave the EU if no deal is reached, keep negotiating — or stay in the bloc. Pro-European Conservative, Nicky Morgan, told the BBC that May understands that “parliament wants to have a real say, in all circumstances”. May, who leads a minority government propped up by the small Northern Irish Democratic Unionist Party (DUP), conceded that “we need parliamentary support” to implement Brexit. But she told MPs that “the government’s hand in negotiations cannot be tied by parliament”. The government is considering rebel proposals that would require it to seek parliament’s approval for its strategy if there is no Brexit deal by the end of November. But, to the disappointment of some of pro-European MPs, Downing Street rejected a second plan that would allow parliament to step in if no deal were reached by February. Eurosceptics urged the government to hold firm, saying the rebels were seeking to undermine the 2016 referendum vote for Brexit. MPs also voted late Wednesday to overturn a Lords amendment on maintaining access to the single market through the European Economic Area (EEA). It was always doomed to fail because it was opposed by the Labour party. In a headache for leader Jeremy Corbyn, however, 75 Labour MPs rebelled against his order to abstain on the vote, including five who quit their jobs in the shadow cabinet. Despite the defeats, MPs will debate the customs union and single market again in the coming weeks, when pro-European Conservatives are seeking to amend two other bills. Earlier, tensions over the bill’s provisions on devolution boiled over when SNP MPs walked out of the Commons after their leader Ian Blackford was ejected. He had sought to disrupt proceedings in protest at the government’s failure to leave enough time to debate how the legislation would affect devolution. The SNP argues the bill would see London take back powers from Brussels that should by rights go to Edinburgh.